Families, residents and businesses rent storage units when they're low on space – whether they're running out of room in their home or need to clear out the office to make more room for new employees. Space is limited, not just in self storage and for our belongings, but for the places in which we live. 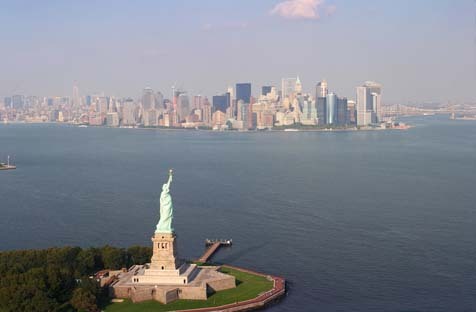 How will the rising sea levels affect the area of livable land on the coasts of America? 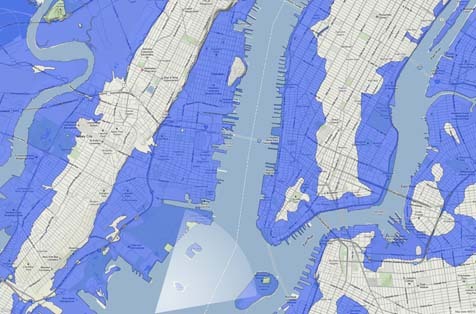 Have you ever wondered how the rise in sea levels will impact our surroundings? 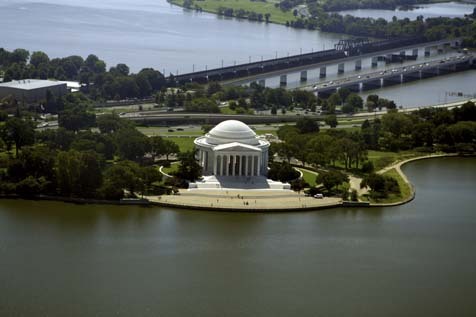 Here, we have projected the outlook of three major locations: Washington D.C. and the Thomas Jefferson Memorial, Miami and South Beach, and New York City and the Statue of Liberty. 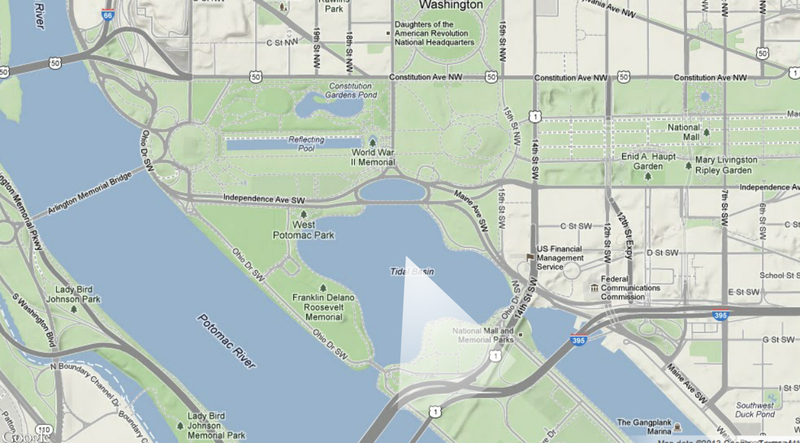 The white cones on the maps show the location and angle of the camera that is seen in the corresponding illustrations. Thank you to Remik Ziemlinski from Climate Central for providing the high resolution sea level rise maps and for helping me understand the science behind sea level rise. 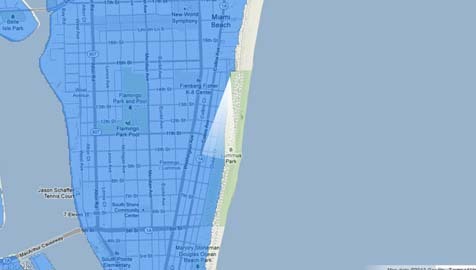 The aforementioned scenes illustrate what 25 feet of sea level rise looks like. 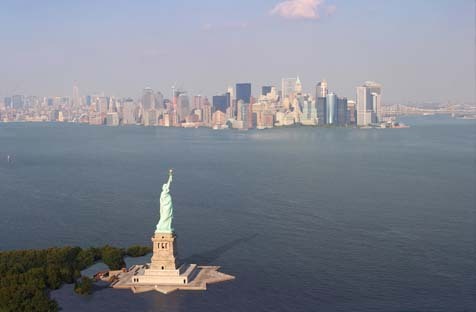 Such a rise in sea level may happen in the coming centuries. 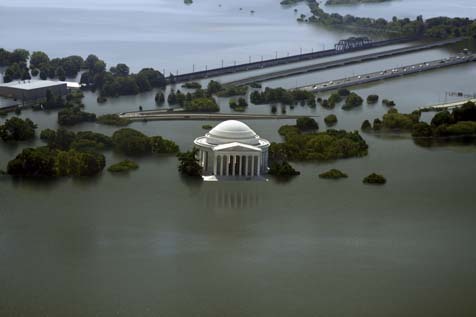 3) Now that we know the location of this photo, we can find this location on the sea level rise maps – which tell us how much flooding will be at this location. 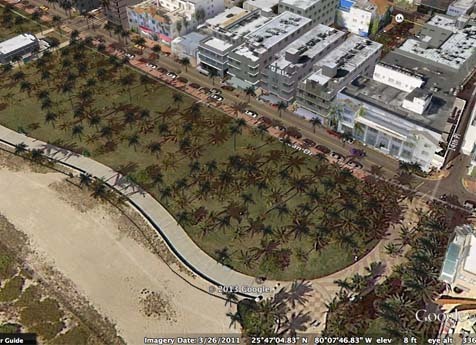 According to sea level rise maps, there will be 5 feet, 12 feet, and 25 feet of sea level rise at this exact location. 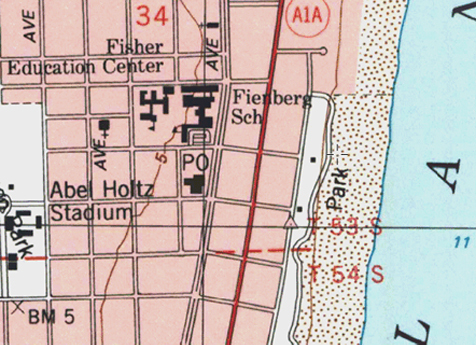 4) We can also find this exact location on topography maps, which tell us that the photo was taken 5 feet above sea level. 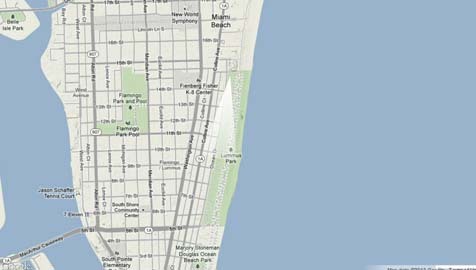 Taking all of this together, the peak-to-peak (low to high) tide difference at that place in Miami is ~2.5 ft. So at low tide, 5 ft. of sea leave rise would not reach the cameraman, but at medium or high tide, it would. 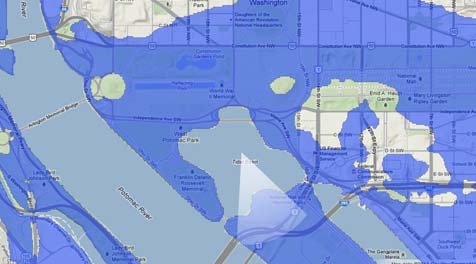 The illustration shows what 5 feet of sea level rise can look like at medium tide. 12 ft. of sea level rise at low tide would make the cameraman stand in 12 - 2.5 - 5 = 4.5 ft. of water, which is what the illustration shows. With 25 ft. of sea level rise, the cameraman would be standing in 25 - 2.5 - 5 = 17.5 ft. of water. 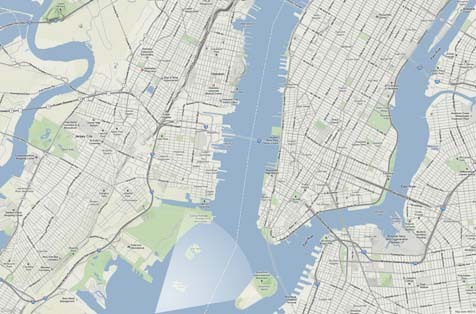 The maps – which these illustrations are based off of – are tidally adjusted, meaning they map out areas below different flood heights relative to high tide. The illustrations, on the other hand, imagine what the affected areas would look like based on varying degrees of low and medium tide. Although no one can predict the exact rate the sea levels will rise, many self storage businesses are making an effort to become more environmentally friendly in an attempt to reduce the chances of these events from occurring. By adding rooftop solar panels, using efficient insulation during the construction process and installing energy efficient light bulbs, more public storage locations are becoming greener than ever before.